New Orleans Pelicans had no answer for the Golden State Warriors potent offense in their first two games of the Western Conference semifinals at the Oracle Arena. And as they returned home, we are going to expect that the Pelicans will surely maximize their chances of getting a home court advantage against the Warriors in a pivotal Game 3 at the Smoothie King Center. Right now, the New Orleans are down 0-2 in their best-of-seven playoff series. Head coach Alvin Gentry and his men couldn’t do much more over the Warriors following their sweep to the Portland Trail Blazers in the first round. The Pelicans were simply no match as they were blown out in Game 1 with a rough 101-123 road defeat. 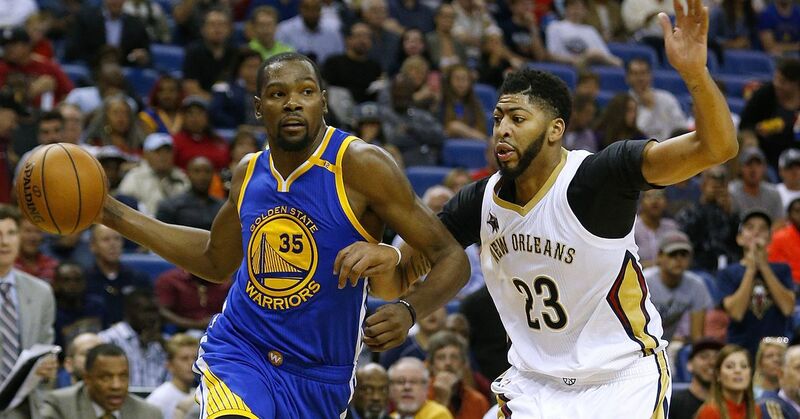 During Game 2, they showed an improvement but still weren’t enough and fell short to a 116-123 loss despite Anthony Davis double-double 25 points and 15 rebounds performance. The defending champions continue to dominate the game in all aspects in the postseason. In fact, they will be feeling pretty good about themselves after taking care of business at home in the first two games of the semifinal series, especially with the two-time MVP Stephen Curry back in the lineup healthy. Going back to Game 1, Kevin Durant notched 26 points and 13 rebounds to lead the team while Klay Thompson had 27 point. In Game 2, Durant led the Warriors with 29 points while Curry came off the bench in his 2018 playoffs debut with 28 points in 23 minutes after an extended injury absence. Moving forward, he will be back in the starting lineup for Game 3.